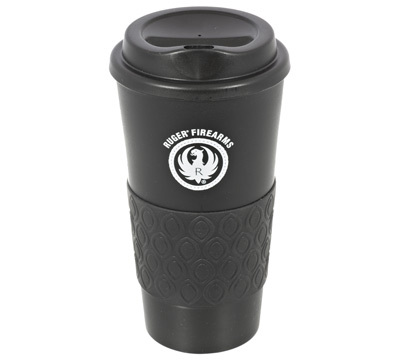 This black Ruger branded 16 ounce PolyPro cup is BPA free. 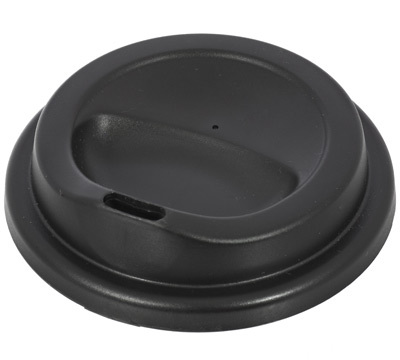 Features include rubber grip and drink-thru lid, rubber non-skid bottom, and is double insulated to preserve beverage temperature. Hand wash only. LIMITED TO STOCK ON HAND. NO BACKORDERS. Made by Adirondak. 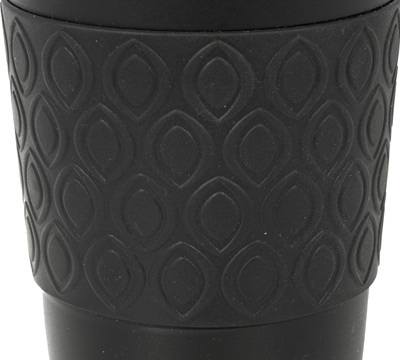 Good quality coffee cup. 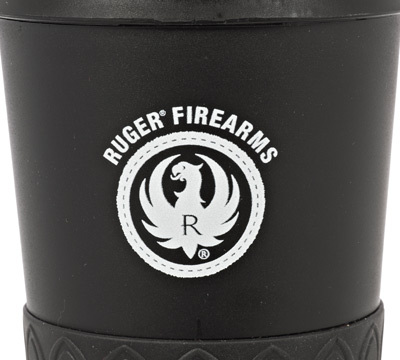 I like that the logo is on both sides of the cup.